“Unfold dedicated majority of the collection to the most versatile colour in existence: White. We have a strong belief in minimalism without compromising the fascinating details and trends, we design timeless classics that keep evolving over time. 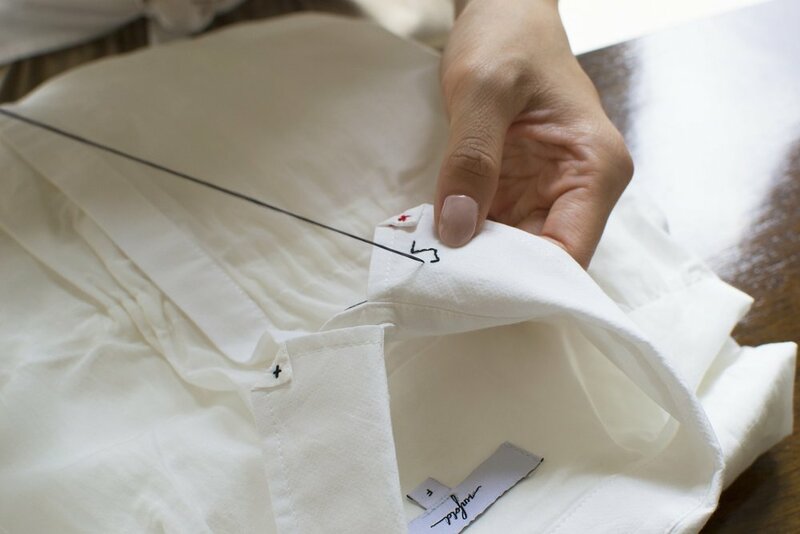 Stella also offers a special hand embroidery service, adding your initials or other to their Unfold shirts for a personalised touch from the designer herself! SHOP UNFOLD ATTIRE AT AFC CURATED HONG KONG! We’re thrilled to have Unfold Attire as part of our pop-up at Hong Kong’s PMQ Building during this year’s BoDW! The space will run from December 3-9, where you’ll find a curated collection of pieces from both Hong Kong and Melbourne based independent fashion labels. Newer PostTake a Peek at Our Brisbane Pop-up!